My name is Aaron Derry, PA-C, a Physician Assistant working with the St. Patrick Hospital Infectious Disease service. I work with Jordan Guffin, MD who works as an Emergency Medicine Physician at St. Patrick Hospital. We serve on the Poverello Center Board of Directors for many reasons including the fact that we both see the impact of homelessness at the hospital every day and we want to be part of creative, community-based solutions to better serve our most vulnerable neighbors. One of the solutions we are most proud of is the Poverello Center’s Medical Respite Program. Before the Medical Respite Program launched in 2014, the effects of someone experiencing homelessness and an acute injury or illness were incredibly challenging for both the patient and the hospital. We both remember a patient, Lenny, who came to our Emergency Department several winters ago. Like this winter, it was very cold, and Lenny had a very bad case of frostbite on both of his feet. 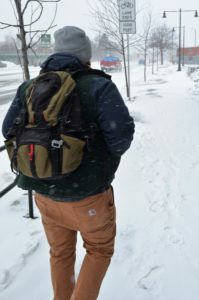 When a patient has frostbite, it is extremely important for them to stay warm so that their injured tissues heal and so they can avoid amputation. Lenny was admitted to the hospital for rewarming and to determine the extent of his injuries. Because frostbite often has a long recovery process, patients are often released to finish their recovery at home. However, patients like Lenny aren’t safe to discharge into homelessness and sometimes end up staying for weeks in the hospital which becomes very costly when you consider the average cost of a three-day hospitalization is $30,000. In addition, after a person experiencing homelessness is discharged from the hospital, they often end up coming back to the Emergency Department, not for specific medical needs, but simply because of the stresses their homelessness is causing. These patients often simply need a meal and a warm place to stay while they recover from their conditions. We are passionate about the Poverello Center’s Medical Respite Program, because it allows us to discharge a homeless patient from the hospital to the Poverello Center knowing that our patient will have a safe, warm place to stay and recover with the support of compassionate, knowledgeable staff. Now with the Medical Respite Program a patient like Lenny can avoid lengthy hospital stays, have access to hot meals, care coordination, transportation to follow-up appointments, and assistance getting prescriptions filled. He also would have had convenient access to a primary care provider at Partnership Health Center Clinic, which is housed on-site at the Poverello Center. Since the Medical Respite Program was created, we have kept a close eye on its impact. On average, an individual patient who is experiencing homelessness uses the Emergency Department 50% less often after enrollment in the Medical Respite Program than they did before enrollment. In 2018, 188 medically unnecessary nights of stay were prevented across Missoula. But most importantly, over the past year, 53 people who were homeless and also ill or injured found a warm, safe place to heal in the Poverello Center Medical Respite Program. The Medical Respite Program at the Poverello Center is creatively addressing one of the most vexing issues facing our community; how to provide compassionate and cost-effective medical care and recovery to people experiencing homelessness. Medical Respite care costs the Poverello Center about $2,000 per client. We are proud that St. Patrick Hospital supports this program, but we need the whole community to step up to make it sustainable. 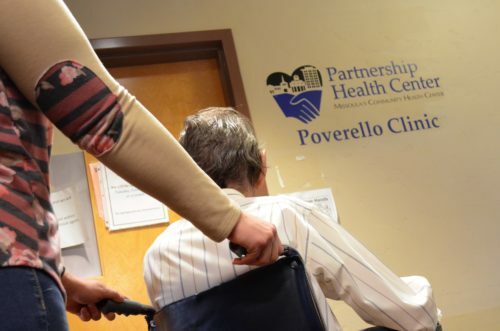 The Poverello Center’s Medical Respite Program is helping to provide housing, medical, and social work care to those of our most vulnerable neighbors who are struggling with health issues while also trying to find a place to call home. Medical Respite also helps our community control the high cost of medical care and reduces unnecessary Emergency Department visits. Please make a donation today to support the Medical Respite Program’s compassionate and effective care for patients like Lenny.